Wendy Snee, a 47 year old nurse and life-long resident of Harford County, vividly remembers the first time that she laid eyes on the late Harford County State Senator Bob Hooper. And, like many, she remembers a vibrant, larger than life figure, who was always reaching out to his neighbors and making things happen for the community that he loved so much. “This was when he was running for election over 10 years ago,” she recalls. “My first recollection is of him parked on the side of the Bel Air bypass, waving his Elect Bob Hooper sign,” smiles Ms. Snee. “There was this delightful man, hanging off the side of his truck, waving at everybody. And people would be laughing and hollering and beeping their horns. He was just this wonderful, familiar face to all of us lucky enough to know him. 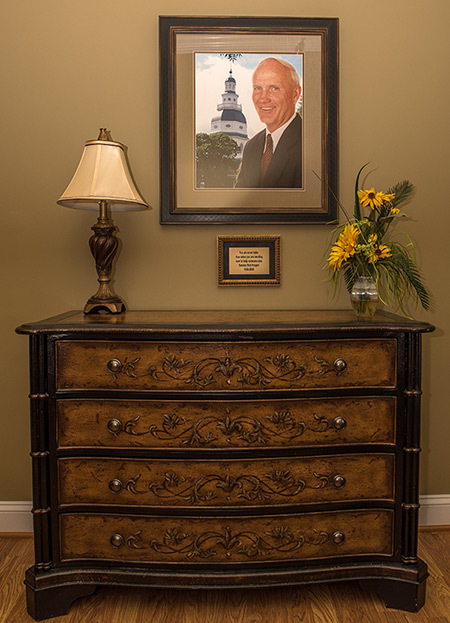 In late 2007, Ms. Snee got to know Senator Hooper and his family in a far more personal way, when she was a nurse with Harford Hospice. At that time, she took care of the Senator at his home in Street, MD during the final two months of his life, before he succumbed to colon cancer in January 2008. And, in turn, the Hoopers were more than grateful for the invaluable clinical, emotional and psychological aid that Ms. Snee and her hospice team provided. 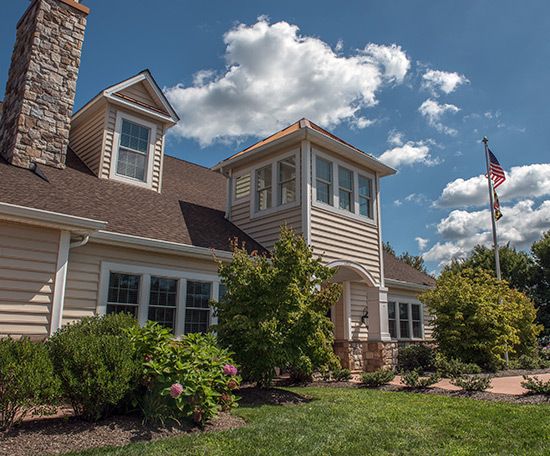 As a result, the family made a significant contribution to help build Harford County’s first residential hospice, a project that Upper Chesapeake Health Foundation had been spearheading for several years. From the time the Klein family donated the land, the construction of the hospice house has been a labor of love and hope for many. Few understand this better than Bill Minton, the president of Jarrettsville Builders, who has been intimately involved since the spring of 2008. Mr. Minton not only committed his construction services in-kind, but also engaged several of his colleagues—architects, engineers and construction companies alike—to do the same. And it grew from there. Help came from other companies offering services at reduced or no cost to contributions from neighbors all over Harford County.